Market stalls dotted along the main street amongst shops. All open for you to browse through. Cobargo Market Day has three Saturdays left this year. The next market is on Saturday 17 November starting at 8am. Proudly presented by The Cobargo Creator's Centre, this market has stalls dotted along the main street of Cobargo. Not only do you have stalls to browse, but you also have the main street shops open offering their wares as well. 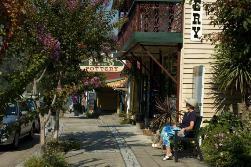 Cobargo, situated in the Bega Valley, has a village atmosphere and the markets bring a great market day feel for everyone to enjoy. Bring the family, bring your friends or get your galpals together for a fun day out. Handmade crafts, bespoke art pieces, second-hand goods, fresh fruit and vegetables –all of these and more will be available at Cobargo Market Day. Make a day of it and visit this market. Shop for Christmas gifts and find something different - that one piece you will not find anywhere else. Cobargo has a village atmosphere. Visit Cobargo this weekend. These markets are popular with locals, and many local producers sell their wares. 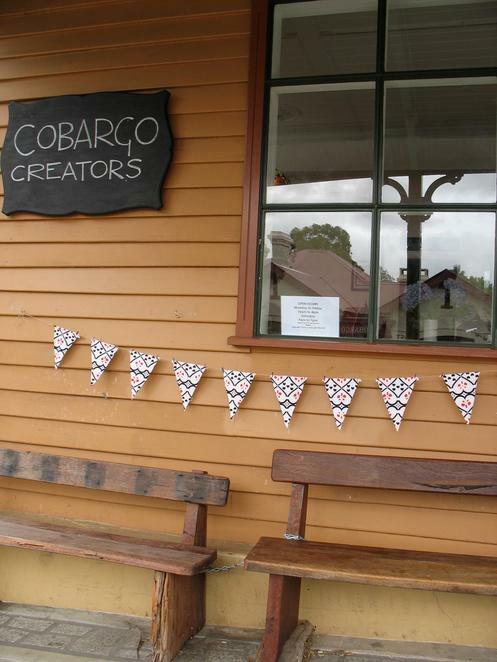 Escape the city and discover something new and different at Cobargo Market Day. Bega Valley Coaches run coaches from Bega to Bermagui Monday to Friday, along route 774 and 775. Premier Buses run two buses per day every day from Sydney to Eden. Vline Buses run one bus per day every day from Batemans Bay to Bairnsdale. Book a weekend away now to discover this market, as well as discovering the beauty of this historical village in the Bega Valley on the Sapphire Coast of NSW. Photos are courtesy of Cobargo Market Day Facebook page and Sapphire Coast Tourism Page.